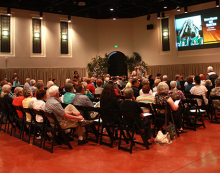 If you’ve ever thought about joining the Heard Museum Guild, the museum’s dedicated corps of volunteers, a general membership meeting is held on the third Wednesday of each month from September to April, except December. 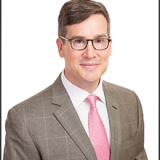 September’s featured speaker is Heard Museum Director/CEO David M. Roche, whose presentation begins at a special time, 10:45 a.m. Mr. Roche will take questions after his remarks. The speaker will be followed by a business meeting and a social hour. Come and meet some of the people whose time, talent and energy are indispensable to making the Heard such a special place. 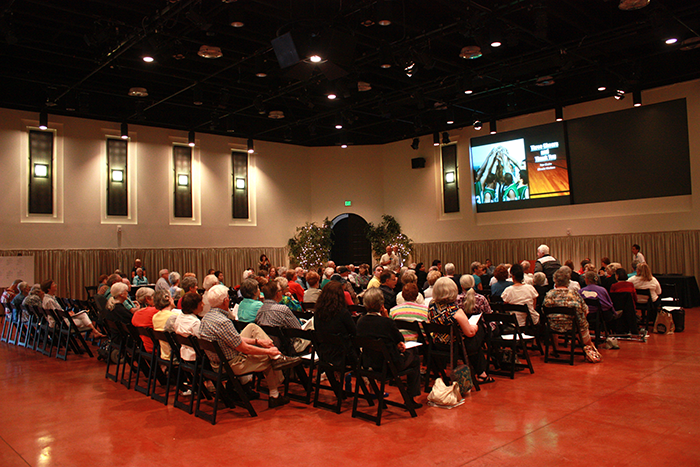 A recent Heard Museum Guild membership meeting, held in the museum's Steele Auditorium.